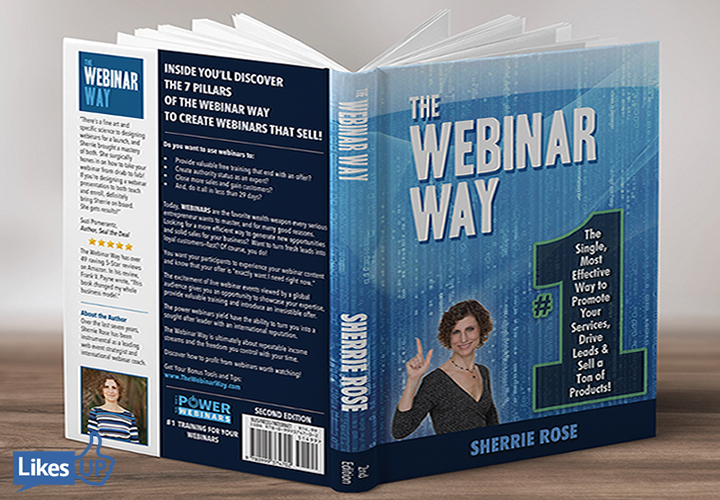 The book, The Webinar Way, has been updated to a second edition for 2018. We are excited and you can preview the book on Amazon. Follow the news on our Facebook page here, The Webinar Way. The usual goal of webinars is to get more leads — right? If we put on a good presentation, that’s good; and if people like it, that’s really amazing. But by the time we deliver the presentation, we’ve already got the names and emails. Some webinar attendees may be on the verge of purchase, others leads may be junk, but now they’re in our database. What else do we need? A lot, actually. The demographic data we get from the registration form isn’t going to tell us much about where those prospects are in the buyer journey or what they want to accomplish. And without that information, we’re marketing blind. Ultimately, we want to get people through the funnel faster. To do that, we need to get them to engage with our content. That eventually will lead to a sale. The days are behind us when marketing department could hand 1,000 email addresses to sales team and say, “Now it’s all up to you!” These days, buyers prefer to postpone their interaction with sales. They want to do their own education. They want to read reviews. They want to be the ones to pick the right solution for them. With consumers driving their own consideration process, managing the dialog that you have with your potential customers has become more and more difficult. Unlike single-touch marketing tactics such as white papers, webinars are interactive, engaging, multi-touch content experiences. Their real value doesn’t come from the registration-form leads; it comes from all the rich content we get in front of a prospect once they’ve signed up and the trackable engagements we have with them. Webinars are one of the greatest tools marketers have, because webinars are engagement. But to get the full value from our webinars, we’ve got to rethink our approach. We’ve got to do webinars better. We’ve got to make our webinars into true engagement-driven marketing. Webinars give you the keys to engagement-driven demand generation. When our webinars provide a multi-faceted content experience, we can get more data about our attendees. With all that data, we’re going to understand more about our prospects. And understanding the prospect makes it much easier to follow up effectively, deliver more relevant content in the future, and, ultimately, guide the prospect to a sale. Engagement-based webinars improve performance through the whole purchase lifecycle. Marketers don’t talk about branding as much as we used to. Today, we’re more focused on the science of demand gen. But consistent branding is important: it creates critical connective tissue between all the diverse experiences the buyer has with our company. For example, when we prepare a webinar, we make sure the console has the right logo, corporate colors, and top-line messaging. That’s a good start, but if we don’t go any further than that, we aren’t really delivering a fully branded experience. When we set out to brand a webinar, we need to consider the full audience experience. Do the email invitations, banner ads, and other promotional materials match the look and feel of the webinar? What about the landing page and registration form? Have we considered any campaigns that we’re currently running and found ways to tie that experience into the webinar? Our goal is to create a journey that guides people from action to action. Consistent creative makes the audience experience better and makes people feel more encouraged to click. 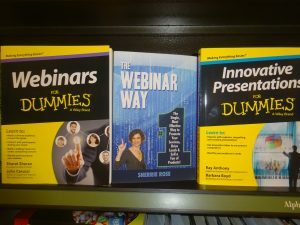 Even today, most webinars are still delivered as a presentation with Q&A at the end. That’s not bad, but we could do a lot more to make our webinars into engaging, interactive experiences. We need to think of a webinar as a real conversation, not just a presentation. We have to realize that a webinar is one of the few tools we have that makes multi-directional communication with our prospects possible. With modern webinar technology, the audience can communicate with the presenter, too. Almost any webinar platform provides tools for interactivity, and Q&A is just the beginning. Polls are a great way to keep the audience actively engaged throughout the presentation: they bring in the audience’s voices and give audiences a chance to see what their peers are doing. Surveys, especially before or after the live event, give people another opportunity to speak their minds. Meanwhile chat boxes, group collaboration, idea-storming tools, etc. give the audience an opportunity to engage with each other directly. We should experiment with all of these in our events. The more interactive a webinar is — the more people are doing during the event — the more data we’re going to get back for lead scoring. Let’s face it: video is more engaging than audio alone. And webcam video has never been more affordable or reliable. Or, book time in a professional video studio or set up a high-quality webcam with a decent microphone to deliver a video webinar from the comfort of our conference rooms. Video is so easy that it’s beginning to change the format of webinars. They’re becoming more like TV: suddenly we’re seeing chat shows, coffee talks, living case studies, and panel discussions, in addition to traditional slides-and-speaker presentations. But even if we don’t put our presenters on camera, we can add the appeal of video by integrating pre-existing clips. So many of us have invested in bite-size video snippets. Why not use them as intros, or as bumpers between different speakers and segments? We already have the videos, and adding them to our webinars is almost as easy as dropping in another slide. Another thing we see more and more often is screen sharing, especially in bottom-of-the-funnel webinars. Many companies have begun to deliver weekly “demo webinars” that offer live demonstrations of their products or services. With so many engaging options for integrating video, we don’t have to deliver the same old speaker-driven webinars every time. By changing the format and adding multi-media moments, we can create much more engaging events. We’re all wrestling with social media as a marketing channel. We have our Facebook pages, our Twitter feeds, our blogs, and our forums, but how do we get people to really engage with us on social? How do we attract an organic audience? How do we build our social footprint? Fortunately, webinars give us one of the best tools we have to drive people to our social assets. We need to pay attention to social through the entire lifecycle of the webinar. It begins with registration: our landing pages should include social sharing buttons that encourage people to announce the event on their Twitter and Facebook feeds. We also need to provide social tools in the webinar itself so that attendees can Tweet, comment, and share the event without leaving the webinar console. And even after the event we should encourage attendees to participate in the ongoing conversation about our brands by providing a hashtag and actively monitoring social media to retweet and respond to their comments. By adding social sharing to our webinar strategy, we’re building our social footprint and extending the reach of our events. Webinars are so powerful precisely because they aren’t static, stand-alone pieces of content. We should look for every opportunity to include more content and integrate calls to action in our webinars. We should provide lots of content in the console for people who want to learn more about our message. We should add links to our webinar portals or video channels. We should integrate video clips. If we have a resource center or web page that our audience would appreciate, we should link to it. And if we really want to drive conversions, we should to give our audience a way to sign up for a free trial, demo, or 1:1 consultation. Think about the typical webinar attendee: Someone signed up for the webinar. They watched the presentation. They downloaded a white paper and a case study. They signed up for another webinar. That’s four content touches right there — and that’s fairly conservative for a webinar. Webinars are an amazing opportunity not just to engage with our customers and prospects, but to prime them for future engagement. By packing each webinar with multiple content touches and clear calls to action, we can continue the prospect engagement long past the event itself. And isn’t that what marketing is all about? On average, more than 20 percent of people who register for webinars signed up after the live event was over. And that’s not including the segment of the population that attends the live webinar, then comes back to watch it again. If we don’t make our webinars available once they’re over, we’re losing out on a lot of reach. When it comes to building an on-demand strategy, the most important thing is to make it available quickly. The next step is to let people know it’s available: most webinar platforms make it easy to send follow-up messages to everyone who signed up for the event, whether they attended or not. Finally, whenever possible we should curate an on-demand portal with many past events. That way, people can discover other interesting content, and we turn one touch into multiple touches — and that’s what we were trying to do from the start. We also need to include our sales teams in our post-live webinar strategy. Once we publish the on-demand webinar, we should equip sales with an email template and talking points. If we make it easy for them to follow up, they will keep the engagement with the prospect alive. Buyers today are pickier, and that demands a different approach to marketing. Prospects might not be receptive to a sales call until they’ve already made up their mind, but that doesn’t mean they aren’t engaged throughout their journey. It just means that their engagements are more subtle, more varied, and harder to track. Increasingly, this is what separates adequate marketing from great marketing: whether we can identify where prospects are in the decision-making process and offer them opportunities to engage with us. When we manage that correctly, we will become a trusted advisor and we get more leads. But more importantly, we get better leads. In the old way to webinar, we just took our leads and dumped them on our sales team. The sales team would have to decide how to follow up — and whether to follow up. We didn’t really give them very much information to work with. But when we emphasize creating opportunities for prospects to engage, we can turn engagement into pipeline, and turn pipeline into revenue. Whether we’re delivering a webinar or a white paper, if we just drop the content and walk away we don’t get a lot of data about the prospect beyond the info they provided in the download form. They may not even have read that white paper! That doesn’t mean we should stop writing white papers, but it does mean we need to drive more prospects to a platform where they have an opportunity to truly engage with us. And when we track content engagement, we get actionable data about what matters to our prospects. In a webinar, each engagement can give us information about how interested a prospect is in buying, and show us how we should communicate with that prospect in the future. Ten years ago, marketing was all about volume; today it’s about value. At the end of the day, we don’t just want more leads, we want to get better leads. That means putting to focus on engagement. And that’s the new way to webinar. The company ON 24 is headquartered in San Francisco, with offices throughout the world. For more information, visit ON24.com. ON24 produces the live event Webinar World.